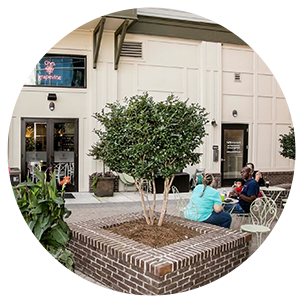 Your main responsibility is to fill the bar and keep it full from 5pm until close (10pm) on the agreed upon evening. You are to market your night on your own, but you must at least send an invitation to a minimum of 100 people (500 is better as your goal is to get 100 people here. If they each tip an average of $10 that’s a good way to raise $1000 in one night!!).  Once you decide you want to raise funds for your charity by being a guest bartender at grapevine and we agree to host your event, we will set up an Event on facebook and make you a host so you may edit the event and add other hosts as you like. When your Event is the way you like it, click on “Select Guests to Invite” and select your friends. Encourage your friends to bring others. So get on top of it and stay on top of it. This is your ONLY responsibility prior to the event. Sending your own emails, making flyers, calling people and any other method you’d like to employ is also recommended. You (and exactly three additional people helping you) come in at 4pm to train and prepare. You’ll be taught how to use the register, pour drinks, learn where everything is and understand how the night will work. The bartenders need to work the entire time (no switching out because it’s too confusing). The event begins at 5pm. After that, you work hard and have a ton of fun. 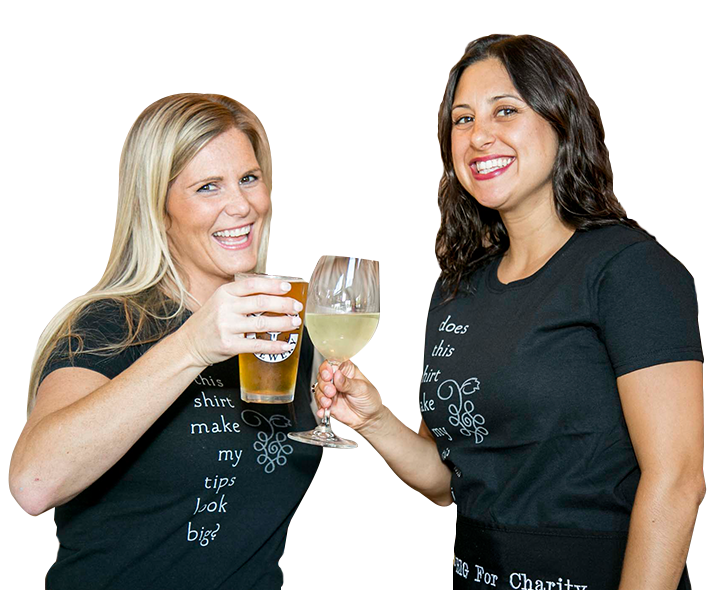 We provide TIP BIG shirts for the evening and request bartenders wear closed-toe shoes and either black or khaki pants. (you may pick it up here the next day. NOTE: WE DO NOT WRITE CHECKS TO INDIVIDUALS, so come with your charity’s information in hand). 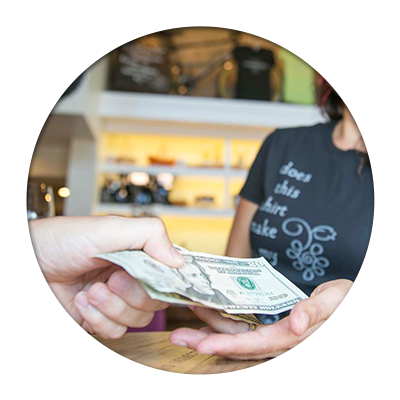 It is best to choose the charity ahead of time to allow them the chance to bring people, too (thereby helping you fill the room and strive for the highest tips). Prior to the event, please provide us with a contact person and contact information at the charity. TIPPING is the primary source of fundraising here. Please make your friends aware of this. When there are multiple forms of fundraising (raffles, door donations, etc.) it detracts from the tipping; therefore, we generally don’t allow those other activities. Please focus your energies on the bartending and tipping. You will raise plenty of money AND have fun. When you try to do too many things, you won’t have as much fun. There’s nothing more depressing for all of us when you show up but your friends don’t. We book far in advance in order to give you time to get it together. It takes a good amount of work to pull off any successful event. IF YOUR EVITE HAS UNDER 100 INVITEES WITH LESS THAN 2 WEEKS TO GO BEFORE YOUR EVENT, WE MAY CANCEL THE EVENT. Any grapevine customer, age 21 or over, who thinks they have the marketing ability to fill our bar for a night and raise money for charity. Each event includes 4 charity bartenders and 2 grapevine bartenders. – Get the invitation out ASAP. – When choosing your bartenders, try to diversify the crowds, utilizing each bartender for their access to different networks of people. This will help you get more people to the event. – Be sure to contact and invite organizers from the charity. They have their own networks and marketing lists and can help make the event more successful. They may also want to bring information about the charity to the event. – There are two keys to raising a lot of money: 1. Get a lot of people there early (5pm) 2. Keep them there late (10pm). – DO NOT wear heels! You will regret it! – Have fun with it! If you’re having fun, they’re having fun. And if they’re having fun, they stay longer and tip more.